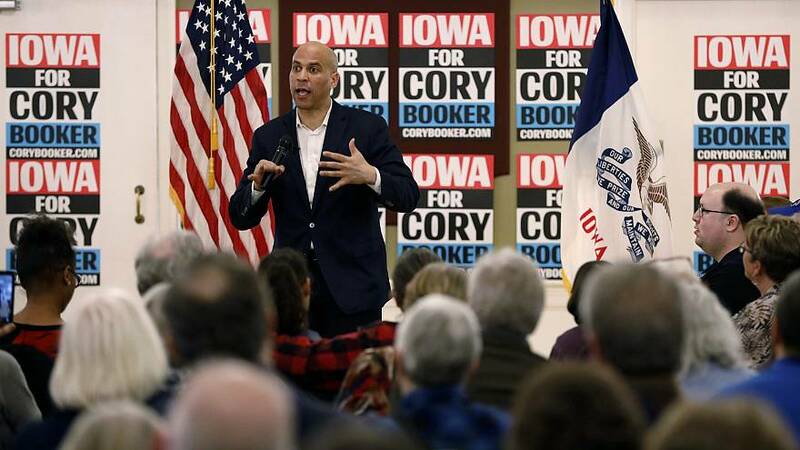 Democrats running for president on Friday swiftly called for Attorney General William Barr to release special counsel Robert Mueller's report on President Donald Trump. "This report should be made public immediately," Sen. Cory Booker, D-N.J., tweeted. Mueller wrapped up his nearly two-year investigation into Trump and Russia election meddling and submitted his report Barr. Barr said he may be able to brief congressional leaders on the report as soon as this weekend. "The Mueller report is complete. Attorney General Barr must release the full report to the public. The American people deserve to know the facts," Sen. Amy Klobuchar, D-Minn. tweeted. "Special counsel Mueller's report should be made public without any delay. The American people have a right to know its findings," Sen. Kirsten Gillibrand, D-N.Y. said. "Attorney General Barr — release the Mueller report to the American public. Now," Sen. Elizabeth Warren, D-Mass, also wrote in a tweet. "The American people deserve to know the full truth about Russia's interference in our democracy. The Special Counsel report must be publicly released in its entirety," former secretary of Housing and Urban Development Julian Castro said in a tweet. "The patriotic action for the Attorney General is to release the entire Mueller report to the American people. We paid for it and this moment requires transparency," former Rep. John Delaney, D-Mass., said in a tweet.